.. Flipping coins to decide if it's elk or trout is a nightly ritual in the man caves and pubs of town. .. 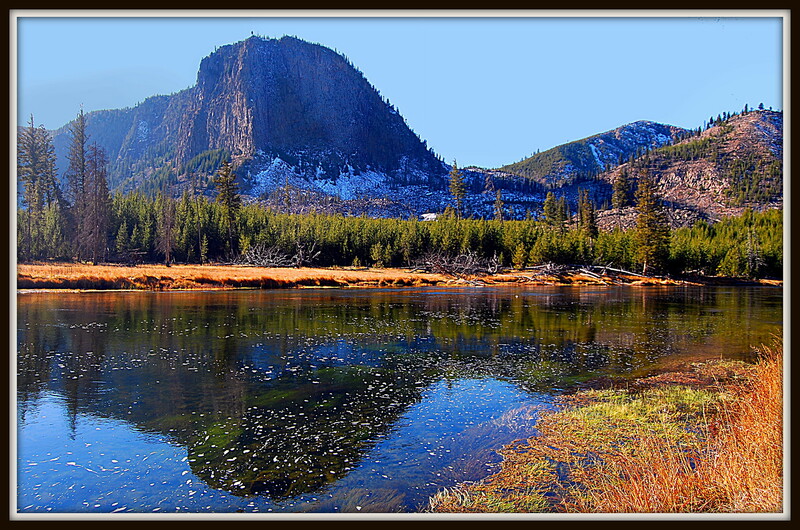 Although fishing will continue after Yellowstone National Park closes - close it will. On the other hand, early hunters have better chances than later stalkers. It's a tough decision. .. The young lions have already opted for the fur rather than the fin. We old farts are tottering to the park to get in a few last days of thrashing the water and punishing the fish. Codgers, eschew hollofil for wool. They prefer the soft rubbing sounds to the crinkly snapping noise of the synthetics. This is the weekend for wool: musty, aromatic, fragrant, warm-when-wet, wool. .. The clouds spit at us: a smattering of snow and rain. 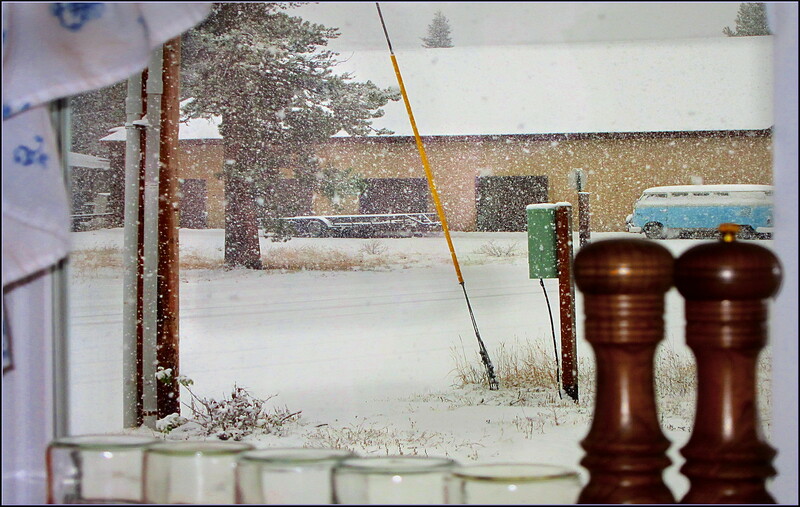 A bit of wind and snow and hail is visiting us now and for the next few days. .. The youngsters are hunkered down in the dripping woods with their eyes welded to spotting scopes. .. 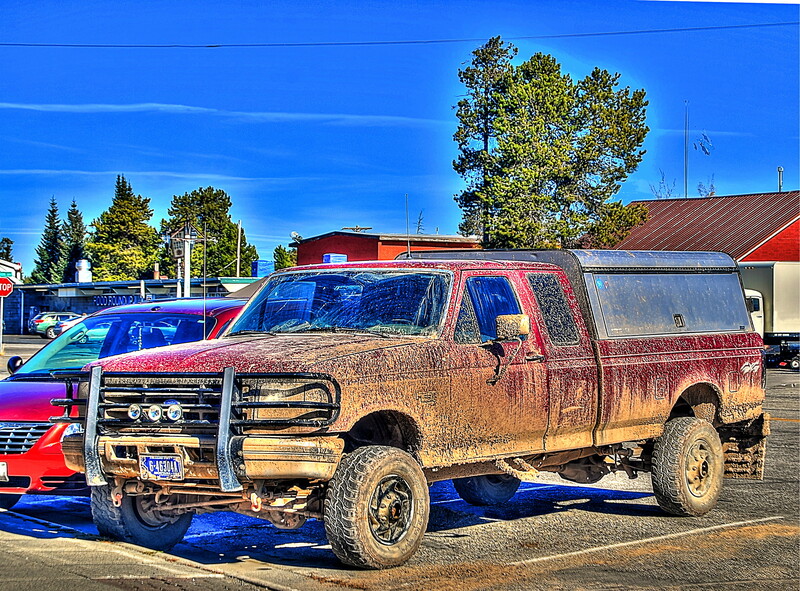 The codgers are dodging mud puddles on the way to the rivers. It's a schizoid time of the year: hunt or fish, rain or snow, sun or clouds, cool or cold, truly anxiety producing. .. The one persistent and constant element in the mix is the cold one at the end of the day. Yet, even that is polarized. .. Weeks old hoppy beer stands in opposition to years-old malted distillates. Musty wool faces twinkly Dacron. Conversation see-saws between calibers and hook sizes. Jokes and observations alternate between between tales of spine shivering whistles just behind the next tree and wrist rattling takes of sexed-up Brown Trout. The tales, (and tails,) of Fall are in the air and in the pubs. .. Judging by the conversations of the hunters - it's been good. Judging by the conversations of fishers it's been good and getting better. Fresh fish are still entering the rivers and the low water makes sticking them a cinch - sort of. .. There is not too much to tell about flies and rods, and fishing locations. Use them all: all fly patterns, all rods that suit your fancy, all locations that you can get to. .. Sort of like elk hunting: .338 Lapua, .300 Mag., 6.5 x .284, on the flats, in the bottoms, up the mountains, Sako, Savage, Remington, Winchester, Browning, Kimber, Ruger, Marlin, Weatherby, etc. .. We've got too little energy to do both. Hell, little enough energy to do just one. We'll waddle to the water and stick a fish and wander back home. We'll find the neighbors at the watering hole. We'll listen to the cross-sport conversations. We'll have very little to add. We'll play the memory reel in our head and smile and nod. We will, however, sip with the best of them. .. We will, also, get up late this weekend and fish the park as it closes. Huntin', Fishin', Climbin', Scramblin' Rig - A Neighborhood Constant. .. 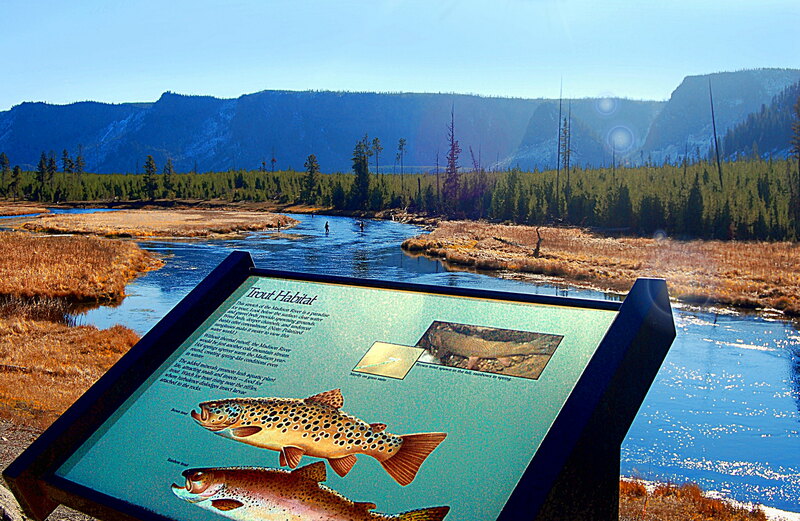 The National Park Service is doing it's best to help visitors catch fish. On occasion they get it right: even in the bright afternoon sun! .. Some fishers understand the principle of "HIT 'EM IN THE NOSE." .. It's strange the way some fisher's minds work. It's especially strange the way that a few neighbors view the popular and famous fishing spots nearby. 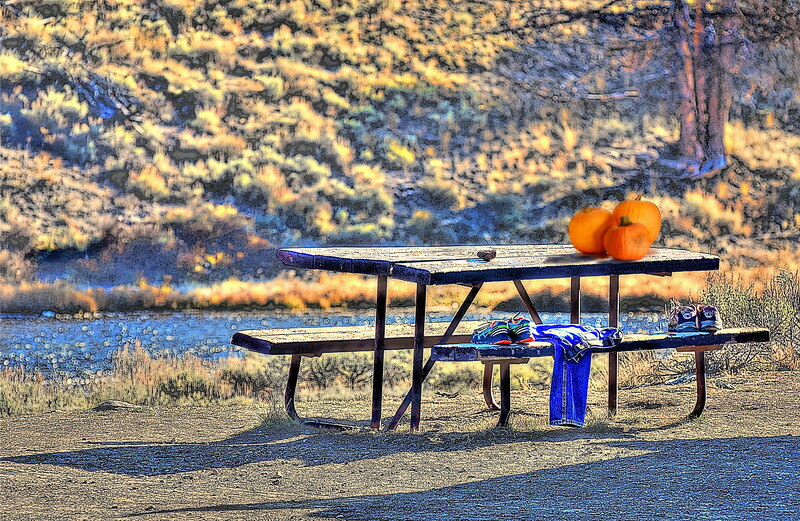 .. Long story - short: They danced bare bottomed around the table at the Barns Holes on the Madison River and left an offering to the deity of giant fish. And these are folks that catch many fish of all sorts. Bless their twisted gray matter. 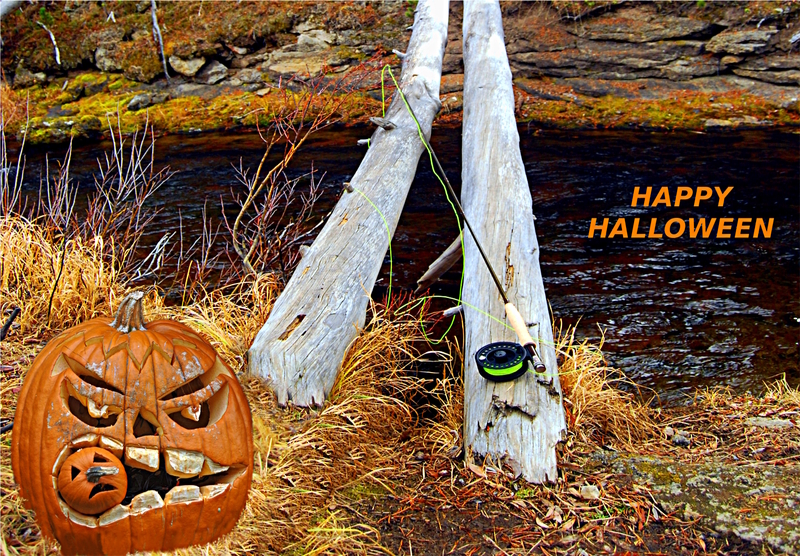 Happy Halloween to all. .. Of course some of the neighbors feel that there is a certain magic attached to the flies of the season. The Halloween Leech is used by some of the folks that catch many of the running submarines. .. For those that demand the use of a two handed rod and believe that the rod makes the man on 40' wide streams; there is a Spey Fly to match the affectations of the big rod envious. 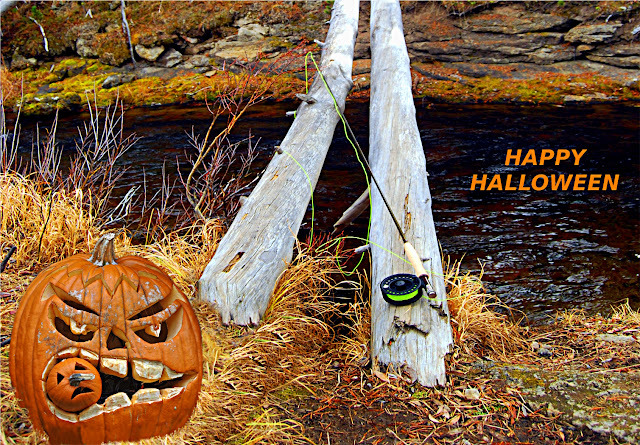 Of course it's called the Jack O'Lantern Spey. 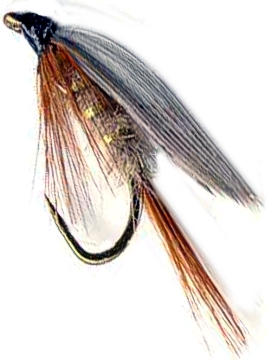 .. We're partial to the Ralph Cutter fly that he developed for the East Walker River. 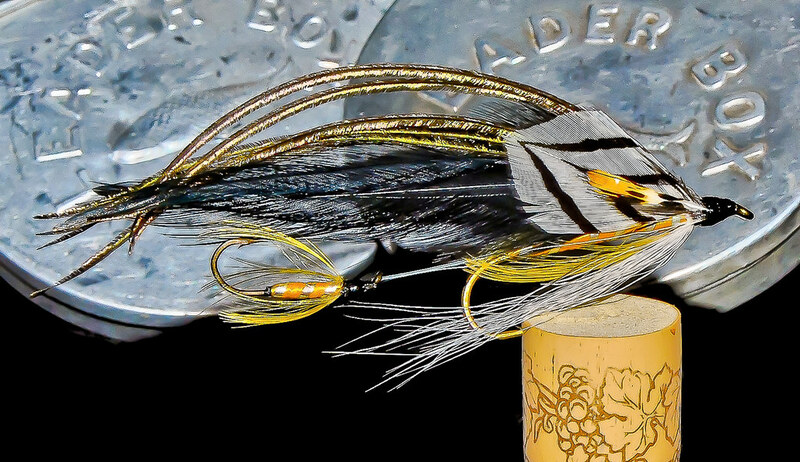 It's a hybrid bunny and marabou concoction called The Goblin, that is dense, dark, lively, and victorious in galling large trout. 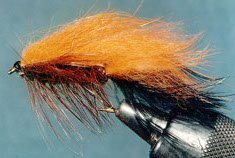 .. We tend to prefer, (on a practical note,) more traditional streamers such as black Woolly Buggers, and some of the larger nymphs. .. The Gibbon River is running at all time record low discharge rate. 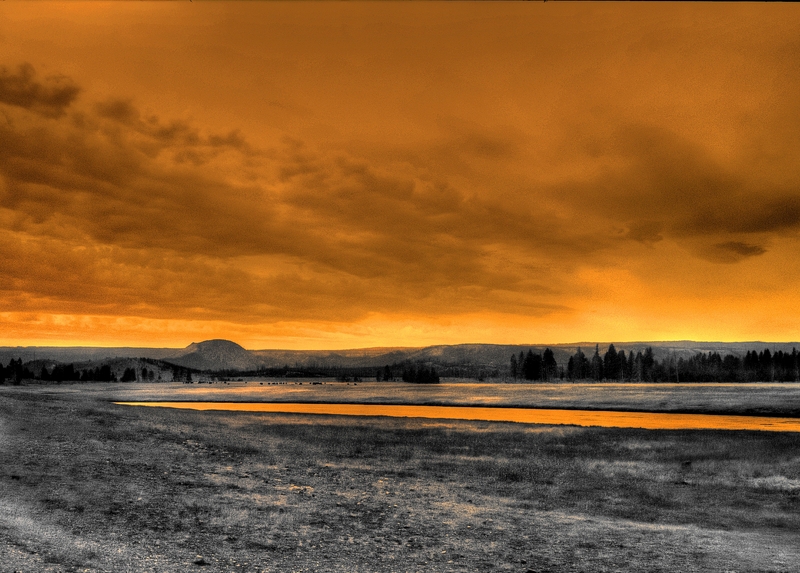 The Firehole River is only 20 cfs from it's all time low discharge rate. The Madison River is running 260 cfs below it's seasonal mean value and less than 50 cfs to go to an all time low. .. One consequence of this low water is that many of the traditional mid-river holes are a bit shallow for the fish psyche of lake dwelling submarines. They are packed in the deeper bends and long deep streams of the rivers where changes of course and flow have carved some dark water stream features. .. We're anticipating a bit of unsettled weather over the next few days. .. We're headed back for the final curtain and will keep you informed. .. In the dark and musty corners of well established watering holes there is an undercurrent of concern. It's heard between the belches and growlings of inner distress. 1.] The Whitefish are bigger than usual and they are much sweeter than recent memory would allow. 2.] The runners in the Madison River are taking smaller flies than in the recent past and are even chasing and eating nymphs and wet flies. 3.] The west side rivers are particularly low for this time of year. The fish are easier to catch and the use of stealth techniques is seldom needed with the eager fish. 4.] 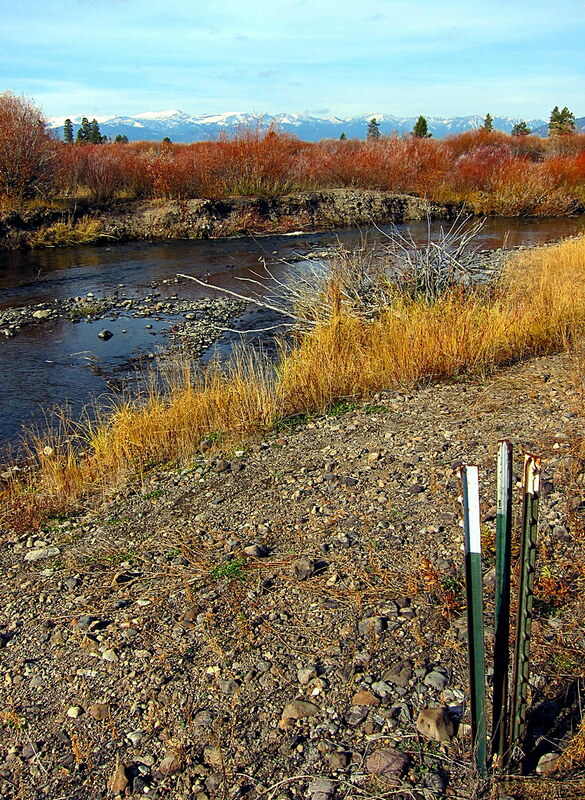 There are fewer runners in the Madison River this year and over the last few years than in the years of the last decade - OR - other decades further away from the present. 5.] 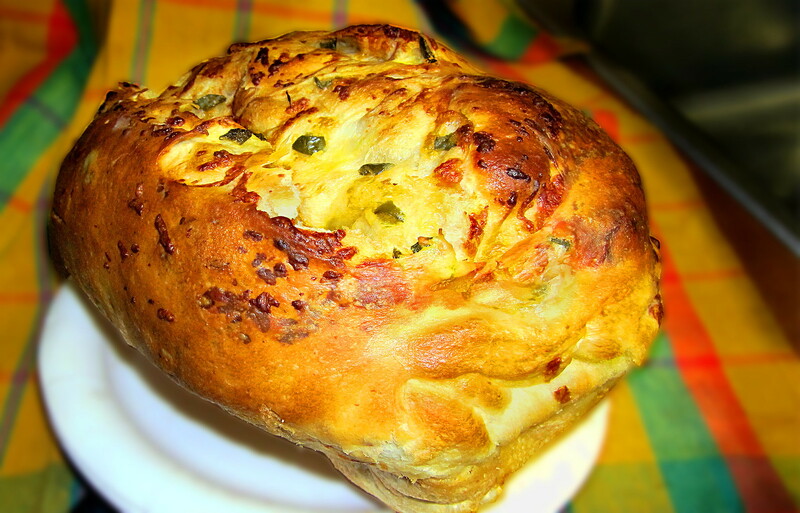 The perfect jalapeño cheese bread recipe is near at hand and being baked right here in West Yellowstone, Montana. 6.] The best way to enjoy jalapeño cheese bread is in a hot tub with a cold beer and a warm blond woman. Girls are for wimps. 7.] If you can't catch a fish on the Firehole River with a soft hackle you should take up golf or darts or shuffleboard or beer pong. 8.] 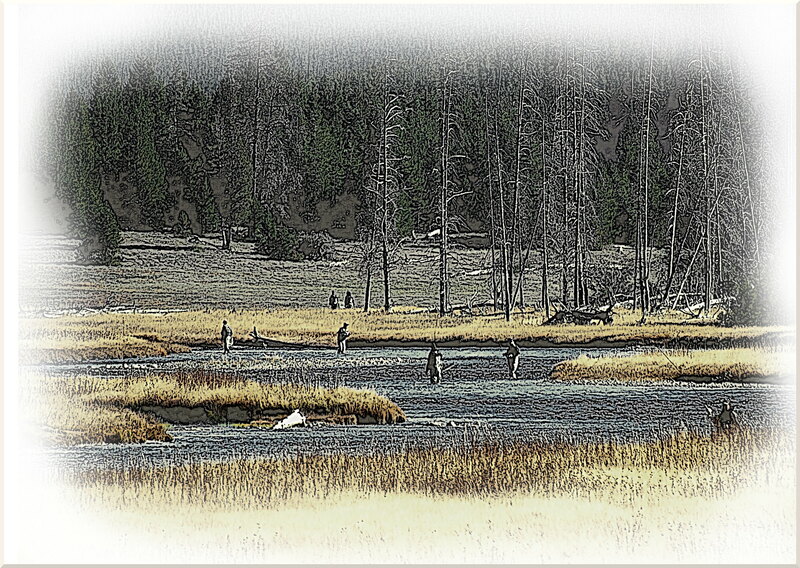 There are very small fish on the Firehole River being photographed as trophy catches. It's an indication of the paucity of fishing expertise or the love of cell phones. 9.] It's becoming sinful to walk more than 100 yards to a place for catching giant fish. "Giant" is being redefined as "over 10 inches." 10.] In their search for big tips a few itinerant guides have taken to saying "GOOD FISH" every other sentence. They apply this to the servers at newly opened bars that they frequent as well. .. The weather continues to be very gentle for this time of year. No break is in sight. This tends to make stories less believable than if it was nasty and little bits of hail or snow were clogging your nostrils. .. Imagine returning home and explaining to the gathered throngs at your local feather merchant that the warm sun caused you to remove your Panagucci fleece and that the 26" Brown Trout in the picture dried out and didn't show it's true colors. .. It's just not near as much fun to catch a submarine in the sun as it is in a blinding snow storm. This also seems to be a consensus among the neighbors. .. We're headed to the hot tub. There is a fresh loaf of jalapeño cheese bread waiting. It's slices are slathered with fresh unsalted butter and it's ready to eat. It's a meal in itself. .. After that we're going to take our second nap of the day and decide where to go tease some fish. 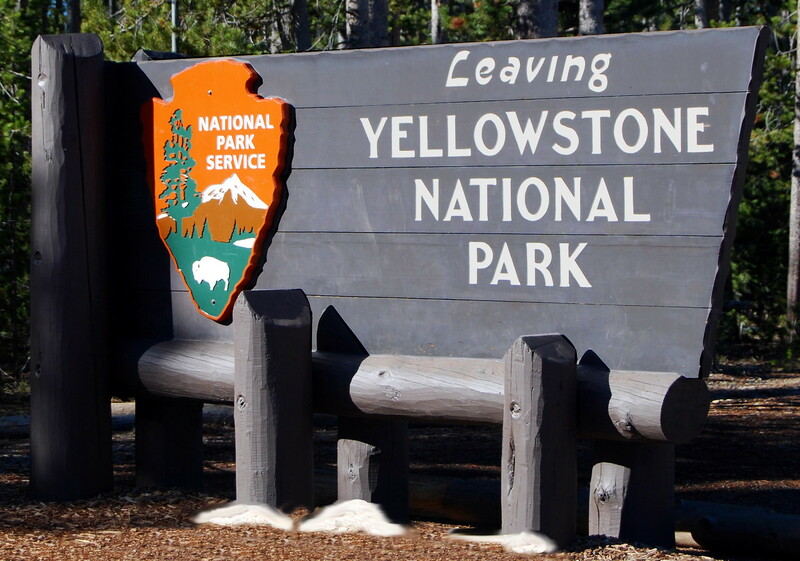 Since Yellowstone National Park is now open for another few days we may just slide in there. .. Parking will be fearsome. Elbows will be flailing. Cell phones will be waving. Jocular fishers will be extolling the virtues of knowing how to torture fish. And there may just be a submarine on the Firehole River in the canyon below the bridge - above Old Faithful and below the cascades. No one bothers to tickle those runners. .. We're enjoying a spell of very salubrious weather. 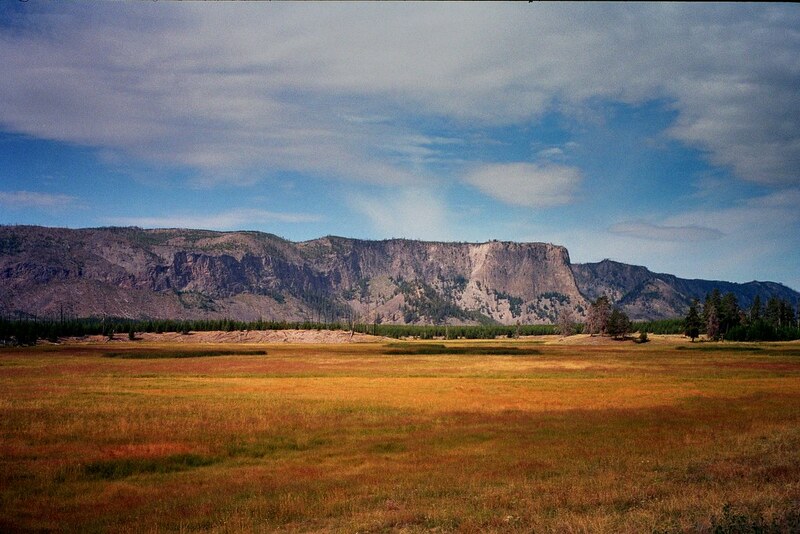 It is just perfect for visiting Yellowstone National Park. The traffic is picking up and the gawker blocks are increasing. Fishers seem to figure it out quickly. .. Lowland fishing on the Yellowstone River and the Gardner River is producing happy campers from both near and far. The BWO hatch is still a good bet. 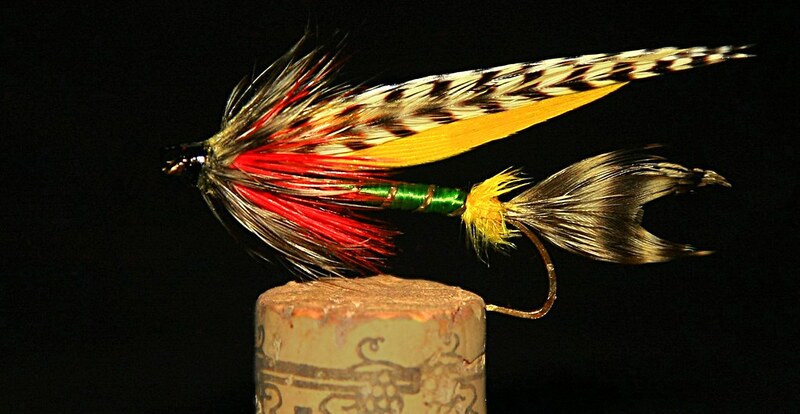 Streamers and giant streamers, and enormous rubber legs flies will gather in some fish for pictures. .. The fishing is a bit better than the catching - but not much. 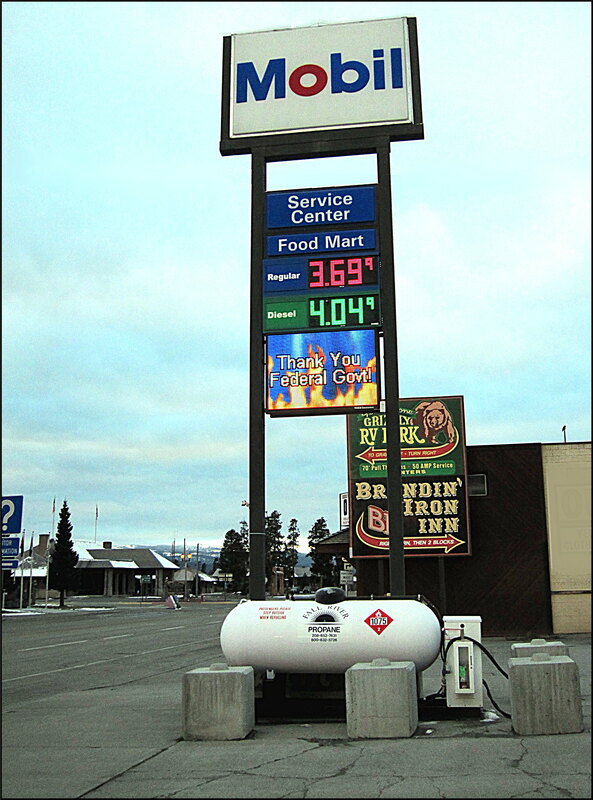 The pleasant weather has impacted businesses in Livingston and Billings. .. Should you need the tutelage from some savvy sages, visit with the folks at PARKS' FLY SHOP and they will point you in the right direction; even if you seek the running toads of the Gardiner River. .. Closer to home it seems that the invasion of head hunting fishers has increased. It's not nearly scientific - but - it looks like very many license plates from exotic countries are now in the neighborhood. We've seen quite a few from as far away as Bozeman, Idaho Falls, Pocatello, Salt Lake City, and Jackson. There must be an underground telegraph of some sort. .. Catching the runners has been pretty good this year. There appears to be a bulge in the curve at about 21" over the expected size distribution. .. Good records are hard to come by but some interested fishologists have weir records that seem to verify this. It would seem that the tail of the curve is skewed toward the enormous end this year. .. The neighbors split into three distinct tribes this time of year. Some chase runners and endure the crowds and fraternal "rightness" of the seasonal frenzy along the Madison River and Gibbon River. .. 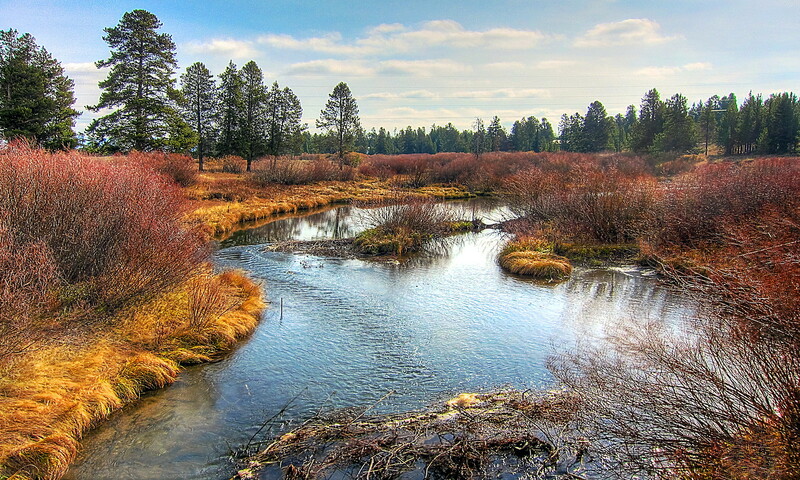 Some continue fishing smaller streams with fewer elbows and make an occasional jaunt to the Firehole River for amusement. .. 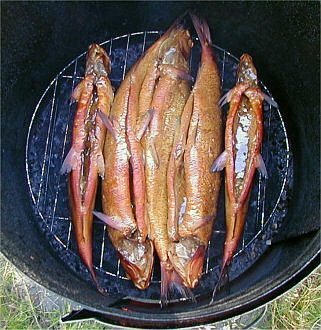 Some concentrate on Montana's Mountain Whitefish for the smoker and tasty tidbits for the coming winter. .. Our failure to have the fraternal mentality keeps us out of the crowds and the sanctioned yuppie shops. Our neighbors have smokers and we never suffer for want of winter tidbits. We do, however, enjoy the sight of a 14-foot two-handed rod on a river that is 35' wide. .. The catching on neighborhood water, (both inside the park and on it's periphery,) has been rewarding. The flows are down a little, the fish are bunched up and easy to find, the bugs are popping and the Gallatin River is not too cold to fish. .. The nymph box is doing fine and we even float a few. Fish on. Stage One: Pan Seared, Bacon Wrapped, Pork Medallions, Over Mustard Butter With Fresh Chopped Jalapeño Bits. .. Montana ranchers are justly proud of the beef that arises on our range. Our neighbors are beef lovers and unabashedly seek the local stuff. It's that good. .. All ingredients should be at room temperature. 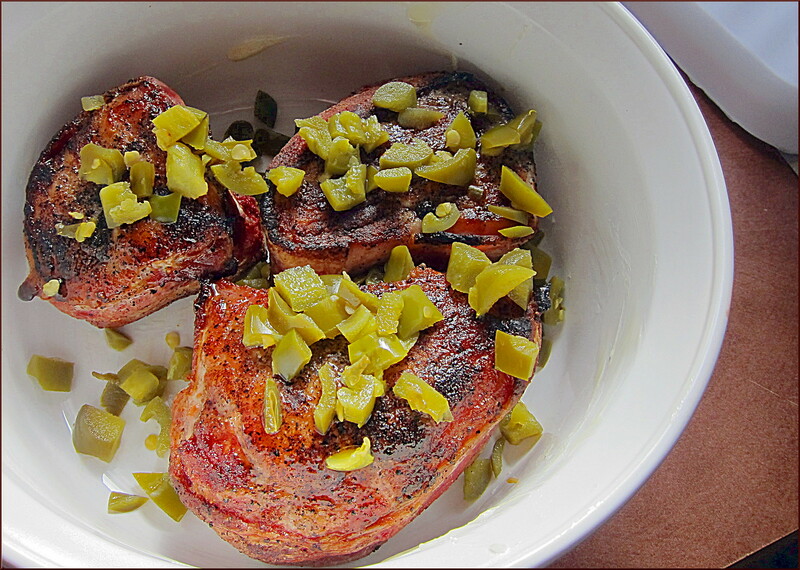 - Cut medallions from the pork tenderloin - 1½" to 2" thick, Liberally cover the medallions with fresh ground or cracked black pepper. 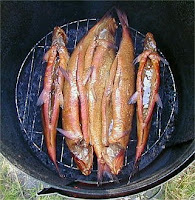 - Pop in a hot, (450°,) preheated oven and bake until done, (160° - 170° internal temperature,) about 15 - 20 minutes at most. - Slice and serve with seasonal vegetables. 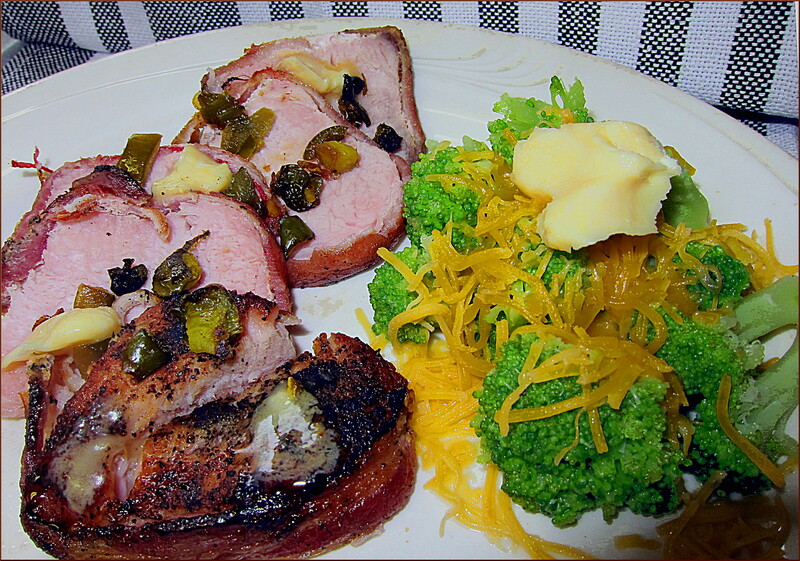 Garnish the vegetables and the pork with some more mustard butter and other simple flavors. Stage Two: Pork Medallions served with fresh steamed broccoli florets garnished with shredded cheddar cheese and mustard butter. The medallions are fork tender and juicy. Just a hint of pepper. .. By the way fishing is great. Catching is just shy of phenomenal. 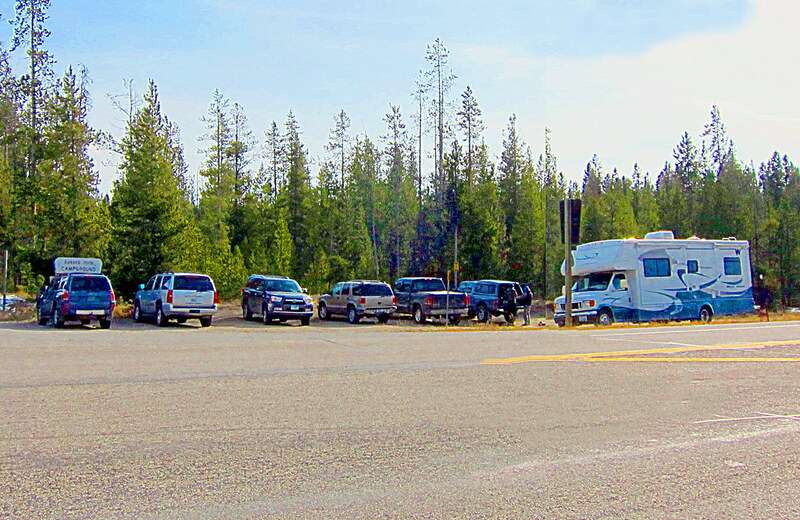 Parking is at a premium; even on the State Highway adjacent to Yellowstone National Park. .. 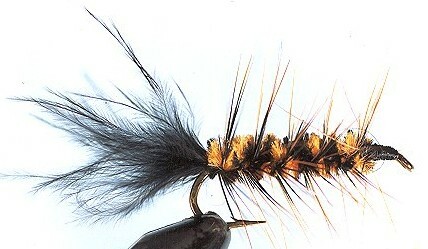 The Firehole River is still cranking out a stray caddis on these sunny afternoons. Batids of the "Youspeaklatin" type are in evidence despite the sun. Soft hackle, (of course,) all day - if you prefer. .. The runners have made it to Gibbon Falls and the walk from the newly consructed picnic area is worth the jaunt. 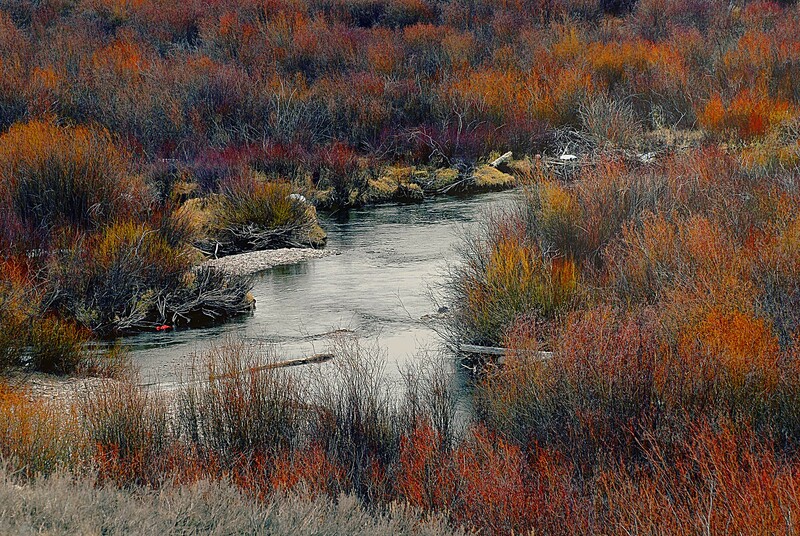 The faithful have sprouted like mushrooms in a burned forest and clutter the Madison River. It's as if the closure never happened - less traffic though. Up Early . . . Hi Ho, Hi Ho, It's off to . . .
.. So, those sneaky neighbor kids have filled our heads with visions of rising trout on the Firehole River. Noses in the steam. Spinners. BWO's. Even some elbow room. We've succumbed to the lure of surface fishing - not our usual weakness. 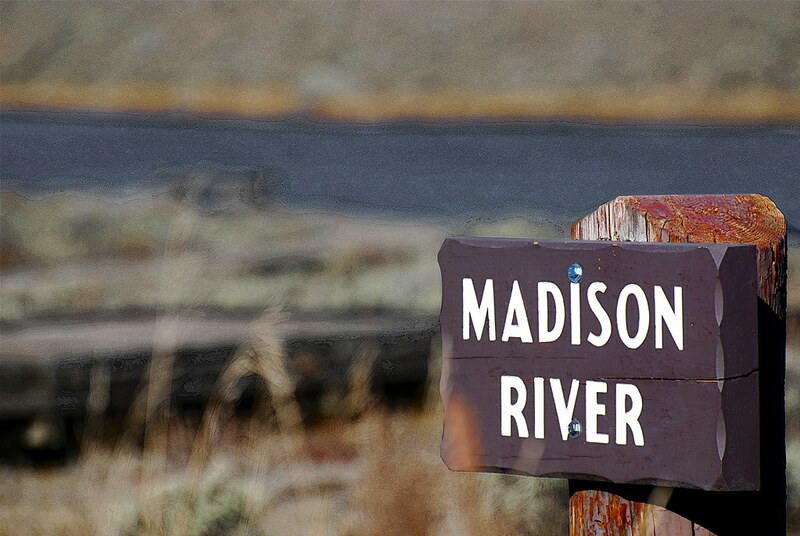 .. We'll join the convention of the faithful along the Madison River later today. We've got until the first Sunday in Novenber. So does the rest of the world. We'll be there and so will they. .. The NPS Was quick to shut down. Websites - bam. Entrance gates - bam. Pullouts on state highways - bam. Fishing - bam. 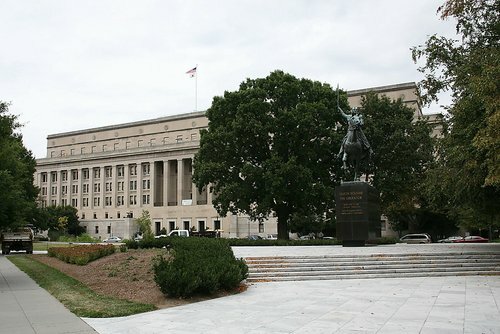 Veterans Memorials - bam. Etc. Now then, how quick can they open up and pay all those folks for not working? .. Catching continues to be just shy of spectacular in the neighborhood. Elbows are scarce: fish are plentiful. Nice change. .. Just another band-aid. The catching is great outside of the park. 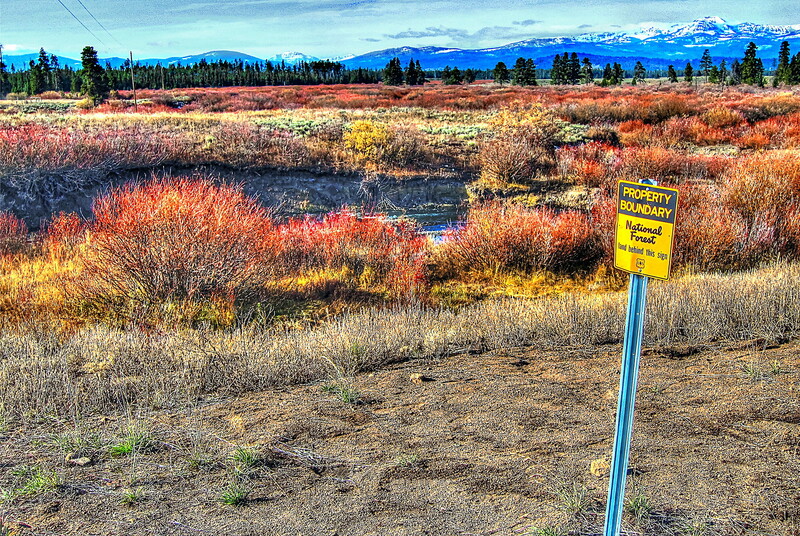 It should be the same inside Yellowstone National Park. .. It'll open if the essential folks know how to do the jobs of the non essential folks. .. Remember Carthage? Remember Rome? How many times in China? Persia? Ottoman Empire? Troy? France? England? We learn so little. We'll keep you posted. .. We have neither the time nor inclination for long and involved preparation regimens for food. We believe simple is good. Flavors are bold and pure. Not too much sophistication to our palate or ego. Give it to us straight. 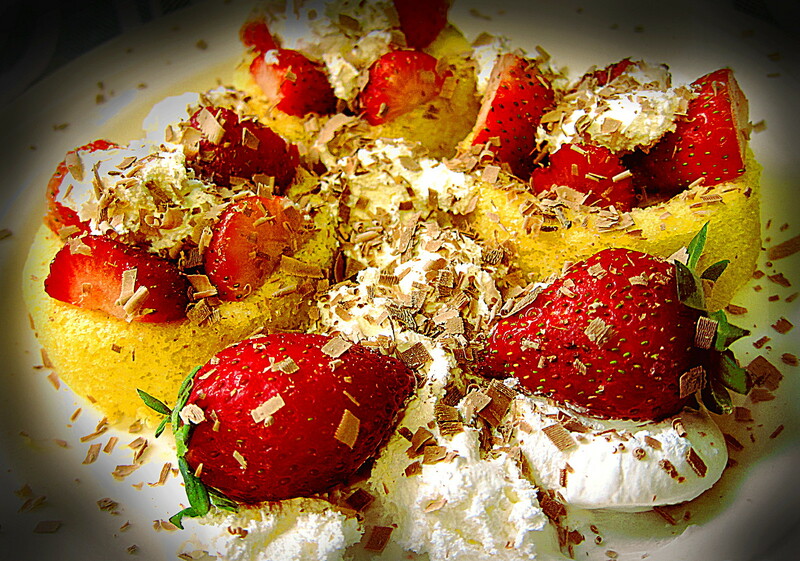 .. Strawberries, homemade desert cups, (too sweet to be shortcake,) whipped cream, (with an egg beater,) hand-shaved chocolate, and a fork. .. We follow it with a glass of heavy Cabernet Sauvignon. Right now we're finishing off the last case of some 2008 Josephs Phelps Insignia, from Napa Valley. This is a complex, enormous, and deep wine. The flavors of Blackberry, Chocolate, Plum, and Cedar, along with some heavy tannins set off the strawberries and the chocolate. .. No recipe is needed . . . .sorry. .. For the last month or so our precipitation, occasionally, has been white. Folks from Florida, Tennessee, Sicily, Algeria, and Bozeman make it a topic of conversation. .. The neighborhood kids are still wearing shorts and tennis shoes. They notice but don't bother to comment. .. It comes down white. 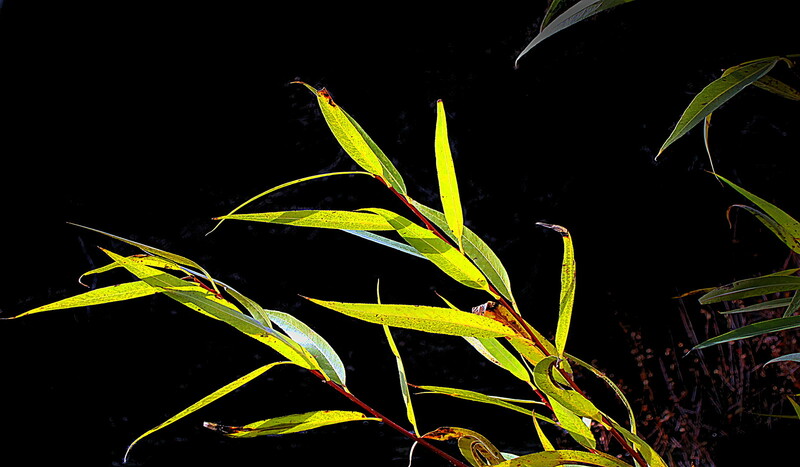 It hits the warm ground and melts into nourishing water. It percolates through the obsidian sands of the Hebgen Basin and moves toward the streams and rivers. It's not real snow. But the lowlanders are whining and fleeing. .. There will be no trace of the snow in a day or two. In this part of the world, real snow hits the ground and sticks. It stays until the warming days of late spring. 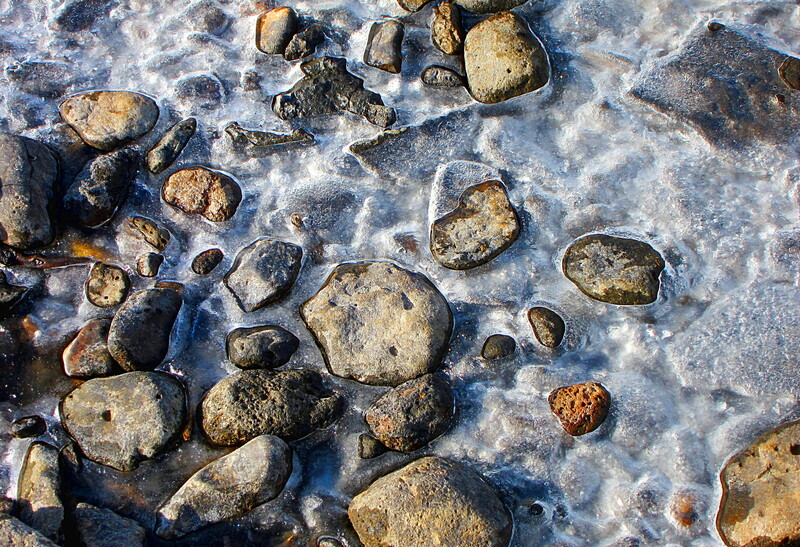 It's snow that is stored for the river's future. We're waiting for some real snow - as are the neighbors. .. It will be here soon enough. It will call for winter behavior. 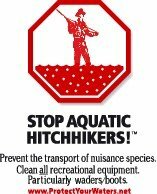 It will mean that fishing is restricted to some small bits of open water. 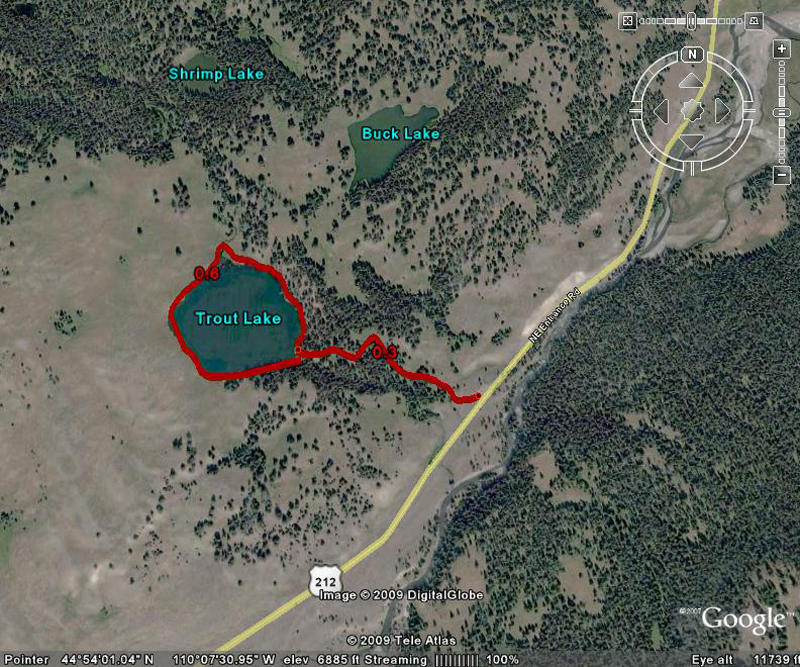 It will bring temperatures cold enough to usher in some ice fishing. The real snow will come as will the winter. But not right now. .. See you on GRAYLING CREEK. What's Happening In Yellowstone ?? 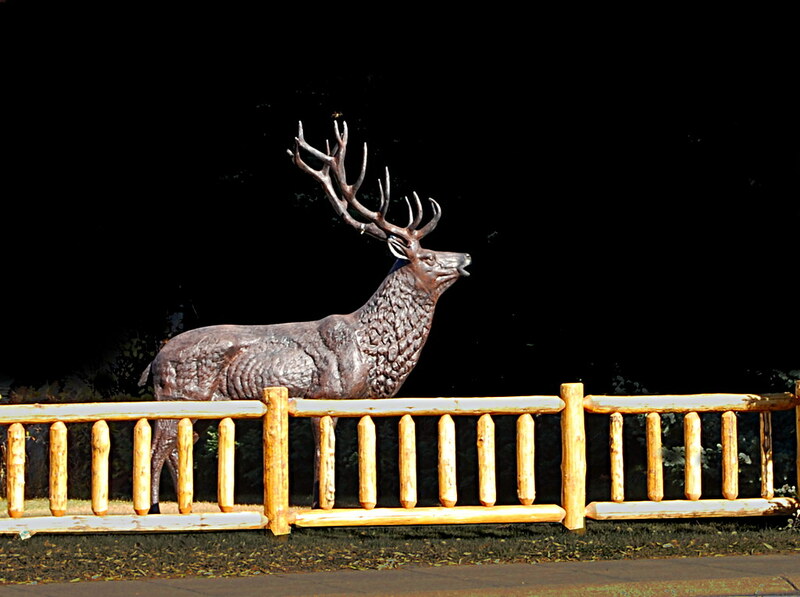 Park Closed: Town To Follow?